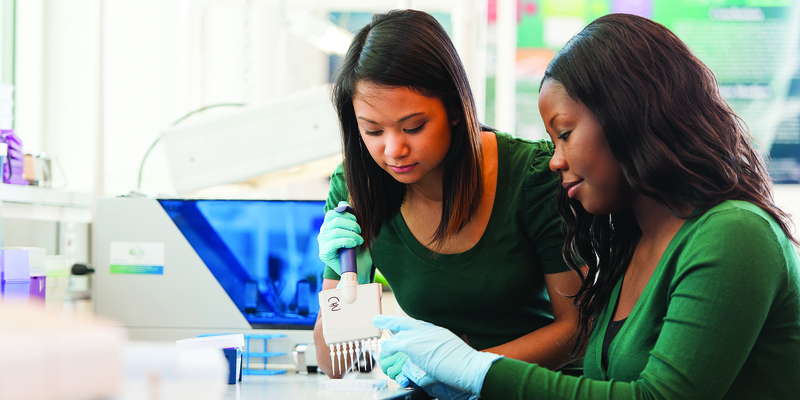 Since 1989, Seton Hall University has been the beneficiary of an important program that helps women gain a foothold in the sciences. Established by Clare Boothe Luce, an accomplished author, politician and U.S. ambassador, the program that bears her name is one of the most significant sources of support for women in science, engineering and mathematics. Its grants fund undergraduate student scholarships and summer research programs, graduate fellowships and assistant/associate professorships. 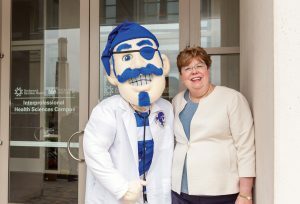 To learn more about how the program works at Seton Hall, magazine editor Pegeen Hopkins spoke with Wyatt Murphy, a professor in the University’s department of chemistry and biochemistry, who serves as one the program’s administrators, along with professors Carolyn Bentivegna, Laura Schoppmann and Nick Snow. What are the Clare Boothe Luce Program’s main objectives? To encourage women to first study, then teach in science, mathematics and engineering. Part of the reason Clare Boothe Luce created the initiative was to help provide women with opportunities for faculty positions and positions of leadership. Luce was Catholic, and Seton Hall was included in her will, along with a small group of other schools, specifically because of its Catholicity. The national Henry Luce Foundation holds the program’s grant money, and each year, it allocates about $300,000 to the University. The Seton Hall faculty committee recommends specific candidates — either undergraduate students or faculty — to the grants office. Then the grants office submits these candidates to the foundation for their approval. How has the program improved? So, through a collaboration between the financial aid office, the committee and the University grants officer, we came up with a program where we began to evaluate potential scholarship students either halfway through sophomore year or junior year. 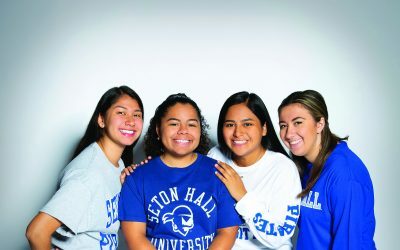 We looked specifically at what students achieved academically here at Seton Hall. Over the years, the faculty have learned to identify potential mid-career candidates who have demonstrated excellent performance in the classroom and have shown an interest or proficiency in a research environment. And we found that the yield of students going on to higher levels of education was much better with the mid-career program. The funding from the program can make a life-changing difference. In one instance, a student had a dad who was in the National Guard and was called up to serve in Iraq. Then when he got back from deployment, he had a heart attack. The student was either going to get additional funding or have to quit Seton Hall and move back to Florida. She was a great researcher; she had the grades. With the availability of a mid-career grant, we were able to cover the cost of attendance and allow her to stay at Seton Hall. She eventually earned a master’s degree and is now working as a forensic chemist. That is a success story.